Hundreds filled the Hill Air Force Base ramp to welcome Lt. Col Yosef Morris, 4th Fighter Squadron Commander, as he flew the first F-35A assigned to the 4th FS/AMU to Hill from the Lockheed Martin factory Sept. 27, 2017. 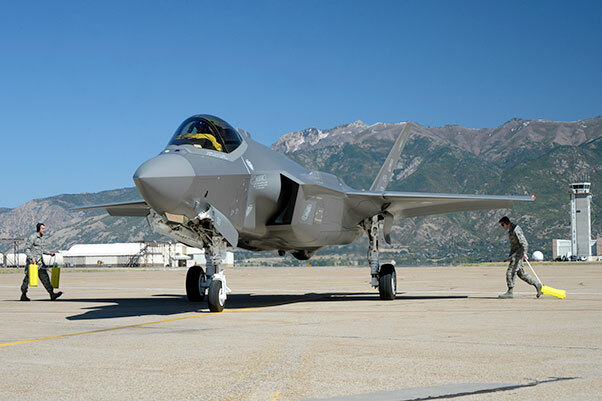 Hundreds cheered the historic arrival of the 4th Fighter Squadron’s and 4th Aircraft Maintenance Unit’s first F-35A as tail number 5133 landed at Hill Air Force Base, Utah, Sept. 27 and taxied into Hotel Row. It was a big event as Staff Sgt. Timothy Ericksen, 4th Aircraft Maintenance Unit dedicated crew chief for Hill’s newest Lightning II, directed Lt. Col. Yosef Morris, 4th Fighter Squadron commander, to the designated parking spot. Currently the 4th AMU has maintenance control over six aircraft from the 388th Fighter Wing partner 34th, and Capt. Cheyenne Clement, 4th AMU officer in charge said he appreciates the F-35 training his people received from the 34th AMU, but nothing beats working on their own aircraft. Members of the 388th Fighter Wing’s 4th Aircraft Maintenance Unit drag chocks as Lt. Col Yosef Morris, 4th Fighter Squadron Commander prepared to deplane after he flew the jet to Hill Air Force Base from the Lockheed Martin factory Sept. 27, 2017. This is the 4th FS/AMU first F-35 assigned. Ericksen, who has been working F-35s for the past two years and whose name will be on the side of the plane, said it’s a privilege to catch the 4th AMU’s first jet and looks forward to making sure all the maintenance is completed as he employs the skills he learned from the 34th AMU. 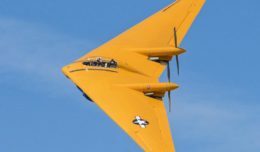 “If receiving a brand new jet, fresh off the production line, and preparing it to protect our nation isn’t every maintainer’s dream, I don’t know what is,” Clement said. The first operational F-35As arrived at Hill AFB in October 2015. Hill currently has 27 F-35As and will eventually be home to 78 aircraft and three operational squadrons by the end of 2019. The 388th and 419th FWs fly and maintain the aircraft in a Total Force partnership, which capitalizes on the strength of the active duty and Reserve.